There is so much to love about having a clean home or apartment, however, maintaining it can be a lot of work. Check out our 4 cleaning hacks below that'll make your life easier and your home cleaner. Run a slice of lemon or orange through your garbage disposal. Eliminate most garbage disposal odors with a little citrus. Lemon works best, but oranges or even limes will also improve the odor. Slice up a lemon and run it through your garbage disposal. Then enjoy the fresh citrus scent! Use the brush tool on your air vents. 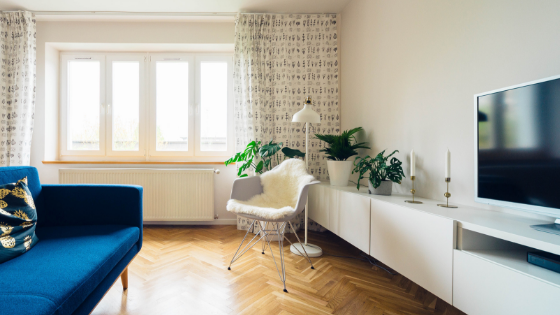 Air vents are easy to overlook, but failing to clean them means they will accumulate dust and spray out through your home every time the air comes on. Take the soft brush tool on your vacuum to clean those vents up. If you have to, you can soak a rag with cleaner and wipe them down, too. For even tougher grime, a butter knife with a wet rag around it works great! Most heating and air conditioning systems require you to change the air filter once every 1 to 3 months. The filter traps dust before it can be pushed out through the air onto everything in your living space. Changing the filter will minimize the dust! Use baking soda on your furniture. Baking soda can help break up stains and remove odors from upholstery. Just sprinkle some on the couch and give it 20 minutes. Then, vacuum it up and recline in the cleanliness! Our Sherman Oaks apartments are ideal when you want a clean, well-maintained community. If you would like to know more about our floorplans, please contact us today!